Fluoropolymer coatings are blends of high performance resins and fluoropolymer lubricants. These coatings contain a superior dry film lubricant. The final product produces a smooth, hard, slick coating that provides excellent corrosion and chemical resistance. Other benefits of fluoropolymer coatings include reduced friction, resistance to galling, non stick, non wetting, electrical resistance and abrasion resistance. 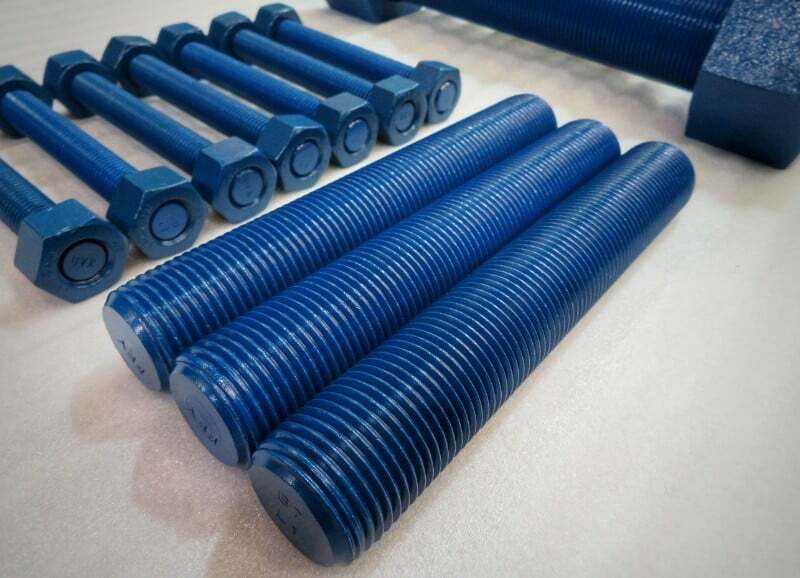 Fluoropolymer coating applications are extensive; the coatings are applied to fasteners and various OEM components to provide a longer life before replacement. For fastener coatings, we offer FluoroKote #1®, our own proprietary fluoropolymer coating formulated with superior characteristics for maximum fastener life and the easiest possible removal.